The champion crown in life simulation undoubtedly belongs to The Sims franchise, developed by Maxis and produced by Electronic Arts. First released in 2000, The Sims became one of the best selling series in the gaming industry, boasting 175 million copies sold across the globe. Game designer and Maxis co-founder Will Wright started The Sims as an architectural program before the game evolved into the charming, quirky "digital doll-house" gamers of all variety know and love today. 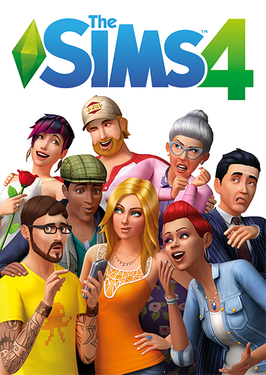 Despite Will Wright's departure from the franchise after The Sims 2, the legacy continued on in The Sims 3 in 2009 and now the newly released The Sims 4. But even if The Sims 4 is the same in name, does it hold up to its adored predecessors? The game's graphics increased with each incursion. The Sims 2 brought players into a stylized 3D world of their creation. The Sims 3 brought about an air of realism. In terms of graphical achievements, The Sims 4 really doesn't add anything. In actuality, it takes a step back in order to run smoother on low end computers. This direction is due to the many glitches and poor performance issues corrupting The Sims 3. However, the real issues are caused, not by a high quality product, but a lack of optimization. Rather than cutting back, developers could've instead designed the game to utilize 64-bit Windows, allowing computers with more than 4GB of RAM to efficiently handle it. Regardless of these issues, the game runs very well on low end computers. Loading screens are short, and the framerate doesn't suffer sudden drops or stutters. Environments are pleasant to look at, especially the stunning water effects and steamboat floating by in the background. The Sims 4 returns to the more cartoonish style of The Sims 2, abandoning the realism introduced in the third installment. Whether or not this is an appealing choice depends on personal preference. Clothing models are aesthetically pleasing, but eyelashes and certain hairstyles often appear blocky and flat with texture similar to Play-Doh. The worst offender, the women's Afro, looks nothing short of a giant potato. It's unfair to compare generations if you account for all the expansion packs, but many features that were present in previous base games are absent from The Sims 4. Open world, toddlers, pools, aliens, standard jobs, terrain editor, create a style, and even a color wheel are all glaringly absent. That's a large list of axed features, and an even larger issue considering subsequent games in a franchise should expand on previous content rather than retract. The sheer amount of cut content indicates developers were more concerned with getting the game out in a timely manner than ensuring it was a quality product worthy of its title. Despite these somewhat confounding drawbacks, The Sims 4 does bring something new to the table. But does it make up for all the lost features? The remastered create-a-sim is intuitive and highly specific with what kind of sim you can create. Pushing and pulling facial contours and body parts is reminiscent of playing with putty. Unlike previous The Sims games, it's now possible to make sims of any shape and size; no matter how extreme. It's fun, it's rewarding, and it's even possible to accurately make a virtual representation of Mr. Bean. However, even with the game's best feature, there's a great deal missing. With no create-a-style or even color wheel, customization is severely limited. Only a few clothes, shoes, and accessories actually match. After a few creations, you'll find yourself using the same styles and colors over and over again. Personalization is a staple of The Sims, and limiting that in any way is detrimental to its long term enjoyment. Build mode, on the other hand, is near perfect. It has never been so easy to shape, change, add, and manipulate your sim's house. If something isn't to your liking, you can simply picky up a room, or even your whole house, and reposition it. If you decide you want foundations, you don't have to delete everything and rebuild it like before. You can simply add foundations to the existing house, color them in, and adjust their height. The only features missing are pools and an editor to adjust terrain levels and ponds. However, since build and buy mode add so much, including a fountain tool reminiscent of pools, it doesn't feel nearly as jarring. Of course, the absence of create-a-style and a color wheel begin to limit your interior decorating as well as your sims' appearances. Lack of customization is a huge step back in a game solely based around customization. No number of steps forward can change that. Emotions were the most advertised feature introduced with the game. Marketing stressed that sims would be weird this time around. That's a strange thing to claim, as sims have always been weird. Quirky sims are not a revolutionary addition. Even so, emotions add a great deal to the gameplay. Your sims can experience a variety of emotions, each affecting their actions and interactions with other sims. They're fun to play with and definitely make live mode more interesting. My sim became sad after an opportunity at work gone wrong, so she expressed herself through painting a sad picture. When her programmer roommate failed a pick up line on a passing neighbor, he was so embarrassed he hid under the covers. Exploring emotions and the opportunities they create deepens the gameplay experience. These new sims are more entertaining and dynamic than ever. Sim AI has been significantly improved. They're smarter at finding routes and pathways, and will no longer spend an hour stuck at the foot of the stairs or having a Mexican standoff at the kitchen door. Time is significantly easier to manage. You can shower and eat in the hour before work starts. Sims can also multitask up to three compatible actions, such as holding a conversation while eating and watching TV. Multitasking is unseen in any prior game and adds a wonderful feeling of authenticity when you throw parties or gather your family into the living room. It's not perfect. Sims perform rather idiotically at times. They restlessly change seats at dinner or the bar, get confused when dishes pile up, and drop actions they'd normally be able to multitask. For example, when switching from the table to the TV, the dinner plate sometimes gets left behind in the process. Hiccups and bumps scatter throughout the system, but it's certainly an improvement over old AI and very satisfying to watch. Gameplay is fun. Plain, straightforward fun. But, as fun as it is, the experience doesn't go very far beyond that. Once you get a job, limited to a few mostly abnormal professions, you make friends, get married, start a family, raise children, and rinse and repeat. That hasn't changed from previous games. The problem here is there simply isn't much to do. Closed worlds and loading screens encourage you to remain at home. Coworkers and bosses are nonexistent. And even if you do venture out, the community lots have disappointingly minimal variation. Even the lots in the second world are just slightly altered copies of the first. After playing for awhile, the game begins to feel depressingly empty and mundane. While The Sims 4 is supposed to be a life simulation, it shouldn't be so realistically dull it makes the player uncomfortably aware of the parallels between their virtual world and reality. As it stands now, The Sims 4 is not worth the $60-70 listing price. While it has something to offer, it plays more like a beta than a full game. It's undoubtedly fun to explore the new features, though it's painfully clear that something is missing. When compared with The Sims 3 base game, The Sims 4 doesn't hold up. There is hope that the game will improve with creative expansion packs that replenish the missing content. However, this kind of hope doesn't come cheap. With additional content bolstering the experience one small piece at a time, the already tall price will only soar higher. Time will tell if the end result will truly be worth hundreds of dollars. But for now, the once endless horizon of The Sims franchise is looking bleak.